An exciting sandy bush track on a sunny morning. This is the coast track on the ocean front of Noosa National Park. This painting was done in 1986 before the track was sealed. 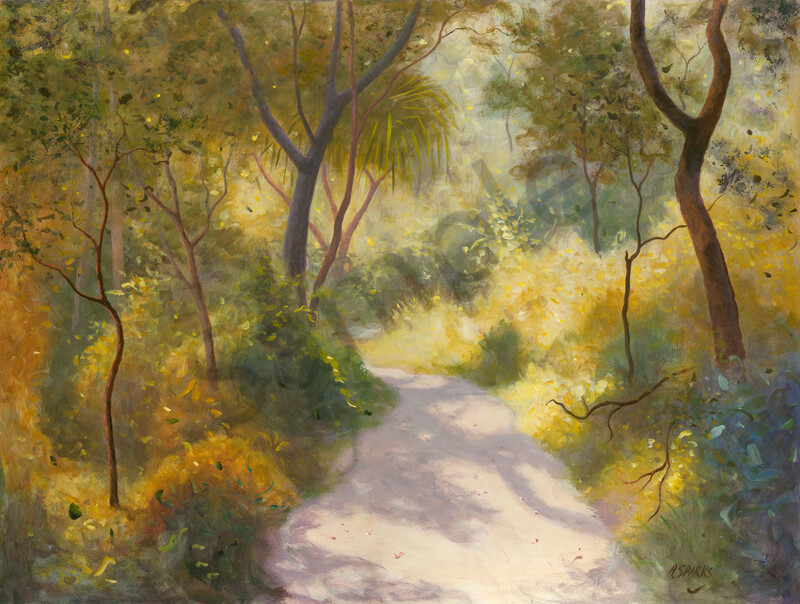 I lived in Noosa for 5 years and spent many wonderful hours walking this magical sandy track.